Exciting developments from under the Roof Club as all the hard work and donations are beginning to pay off. 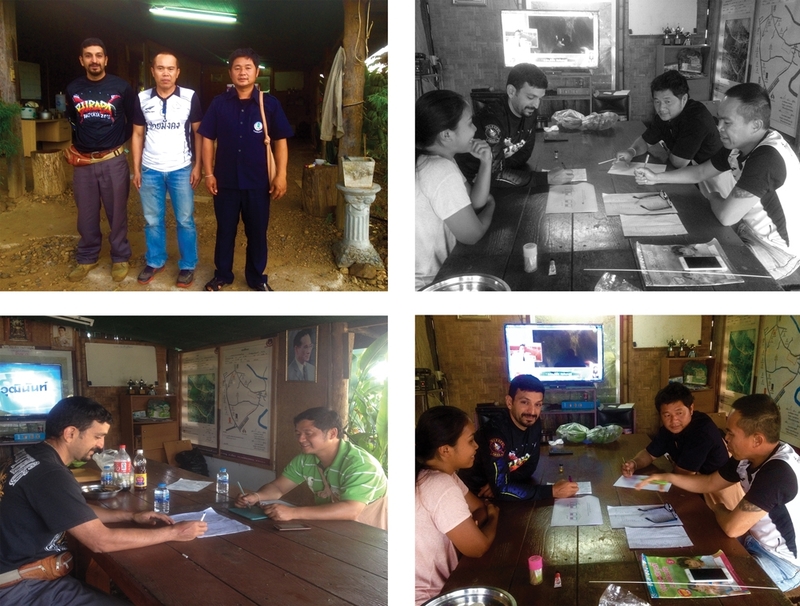 Reza from the Under the Roof Club has been keeping in regular touch with The Pattaya Trader to report back on the meeting he has had with teachers and members of the Pair Border Patrol Police with blueprints for the first school agreed. Things have really been moving on apace as these recent photos show with construction materials taking the long and treacherous journey to get up to the site. Very exciting developments now show the land being cleared and prepared for construction. With everyone getting involved in the laying of foundations – including the border police!. A tremendous effort from all concerned the entire team at Under the Roof Club and everyone who has given to the cause now well on its way to getting the first school constructed. If you wish to make a donation please go to www.undertheroof.club or pay into SCB ACCOUNT NO: 0863 244 575-5 sending an email to undertheroof2018@gmail.com to advise them so that they can update your donation on their website. Thank you for your support for this great cause.